We had another great trip to Port Townsend this weekend. There is a comforting ritual to the weekend that we follow that starts with catching the ferry to Kingston and then visiting The Artful Ewe in Port Gamble. 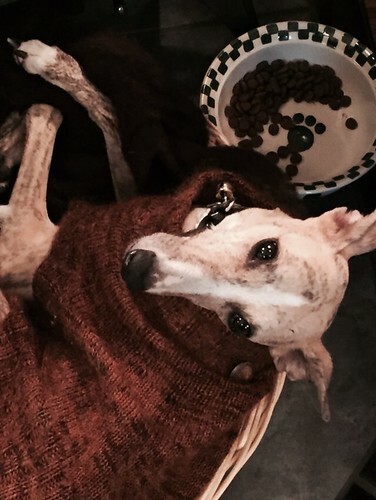 Every year I take the same photo of Grace, the shop dog, warming herself by the fire. We eat, we tell stories, we knit, we stroll, we shop, we laugh. This year I was not sure what projects to take with me. Simple projects are always best for such a boisterous time. I dithered too long so at the last minute I threw a few things in my bag. 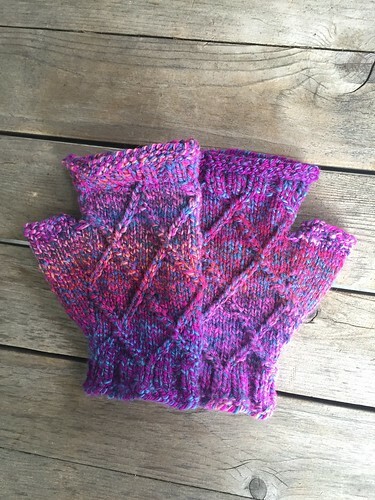 I made Rough Diamond Mitts with every last inch of the 3-Ply Polwarth I spun last month. This was like the veggie stir fry of yarns. I just threw together all my leftover bits and somehow ended up with a really nice yarn. I also worked a bit on my Luna2 that has been sitting untouched since last year. 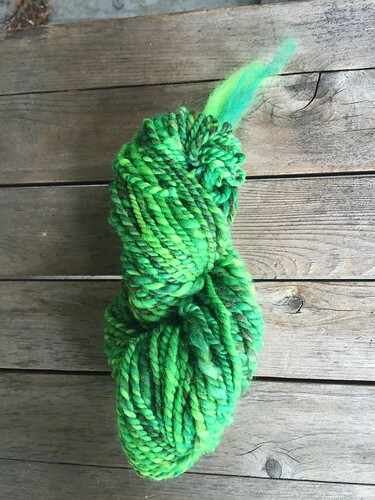 But before that I spun up this roving I dyed last month. I was trying to copy some Spincycle yarn I saw at Bazaar Girls. It was incredibly fast to make and I absolutely love how it turned out. I also found a set of these narwhal stacking mugs that I saw last year and didn't buy. I hoped to see them again. As always, Andi got some beautiful shots of the weekend.